How Much Does it Cost for an Uncontested Divorce in NY? Divorces with one or more children under the age of 21, are $1500.00, plus the filing fees of $350.00. Divorces with no children, but the parties have joint assets and/or joint debts, are $1250.00, plus the filing fees of $350.00. Divorces with no children, and there are no jointly held assets or debts, are $1000.00 plus the filing fees of $350.00. If one party, has agreed to transfer his or her interest in the marital residence to the other party, I can draft the deed paperwork and record the deed for an additional $300.00, plus the filing fees (usually about $200.00). If a QDRO needs to be prepared to transfer an interest in a retirement account, I may be able to help you with this for an additional fee depending on the circumstances. What is the NY Uncontested Divorce Process? Make Your Payment online or call 716-656-7676, or contact me for other payment methods. Fill out and Submit the Secure Online Uncontested Divorce Questionnaire. You will be redirected to the Questionnaire after the online payment is made, or you will be sent the link or a copy of an offline form if you prefer. 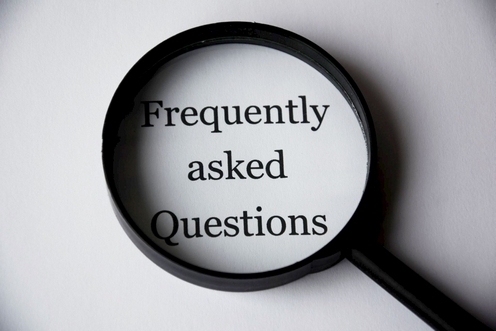 After I review your Questionnaire I will contact you to discuss the terms of your divorce if they are unclear to me, or you may contact me to discuss the terms if you need help with them. I will draft the Summons and Complaint and File them with the Clerk. I will then draft the Divorce Agreement and the Defendant's Affidavit, and send them to you for review. Once the agreement is signed by both of you, and the defendant's affidavit is signed by your spouse, you will return them to me, and I will send you some other papers that just you have to sign. You will return the signed documents. I will submit the papers to the Judge for Signature. I will Record the Judgment and other papers with the County Clerk after the judge signs them. I will send you, and your spouse, Notice of Entry, and you will both will receive a Certified Copy of the Judgment of Divorce, and a Date Stamped Copy of your Divorce Agreement. How Long Will It Take To Process the Uncontested Divorce Paperwork? It depends on the cooperation of your spouse, and the backlog at the courthouse, but, generally speaking the Divorce can be completed in a couple of months or even sooner. Divorce is a process however, and the time it takes depends on a lot of things. Will I need to pay for a Legal Process Server? No, if your spouse cooperates. No, Uncontested Divorces are done by submitting papers to the Court. Not unless you want to, I know people are busy, and all communications can be done via Email, Telephone, and U.S. Mail if you prefer. I (see About) represent you, not your spouse. If your spouse needs legal advice, your spouse should consult an attorney of his or her own. What Service Do You Select When Making Your Payment? You will select from a list of three (3) payment amounts depending on your situation. You will see on the Payments page drop-down menu that the three (3) payment options are based on whether you have Children under age 21, and/or whether you have Joint Assets or Joint Debts. Joint Assets are Assets owned by both of you because both names are on the deed or title. Joint Debts are debts in both your names. If you need additional legal services to transfer Real Estate to your Spouse, or need a partial distribution of your Pension, 401k, or IRA to your Spouse, they cost extra but we can discuss a price at a later date. You can pay online with a Debit Card, Visa, Mastercard, Discover, and American Express below or by going to the Payments page. You can also pay with Cash, Personal Checks, Money Orders, Certified Bank Checks, Credit/Debit Cards, or by PayPal Invoice.